Simon is a keen amateur baker. He’s wanted to buy a stand mixer for a couple of years. He spots your latest deal. It’s a quality brand he recognises, your “add to basket” signs are perfectly positioned and Simon is at the online checkout with his £500 stand mixer. Simon goes to press “buy now”, but he’s suddenly having last-minute doubts and wants to be sure it’s the right product. He’s worried that he’s being too impulsive and suddenly isn’t quite sure if it’s big enough and how the attachments fit. Simon becomes one of the 70% of customers who abandon the basket before going through with the sale. Doing more research, Simon sees a competitor’s offer. He watches the product video which satisfies his doubts about size and how easy it is to use. He presses “buy now”. Not only have you lost this sale, but Simon is keen to extend his culinary expertise. He buys more branded products from your competitor while he’s on the site. Over the next two years you lose thousands in revenue from one customer and many more like him. Why is video and varied product content so important? Customers want to get the best deal and to protect themselves from making the wrong decision. They do substantial research before buying anything – and this is particularly true for expensive items. If you don’t have all the information that customers are looking for, they may see it as a lack of professionalism, or poor quality. Perhaps it’s a reason to doubt the functionality of the product. Incomplete product content reduces the value of your product and hence you risk losing customers forever. Customer expectations are sky high when it comes to online experiences. 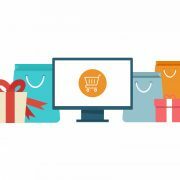 Retailers, from established, global ecommerce giants to high-street names in the process of growing their online offering. They’re looking for new opportunities for the customer to engage with their product. It’s the online equivalent of a market trader handing an item to a customer at a stall. The longer someone has a product in their hands, the less likely they are to give it back. Product content including video, controllable 360-degree and zoom images, customer reviews, Q&As, compare functions, technical specifications and accurate descriptions all work together. They make the customer feel like the product is already in their hands and part of their life. Here are a few nice examples from the high street courtesy of Oasis, Office and GAP. Video is a particularly powerful component. It increases the chances of the customer remembering your product. It’s sharable and, most importantly, you are showing rather than telling your customer what it can do. You are proving it. So, I only need video and everything will be fine? Well, no. In the example of Simon’s mixer purchase, it was a lack of video that drove him to a competitor. But any single missing element of product content could have contributed to him ordering elsewhere. 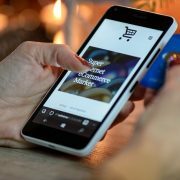 Mobile-optimised ecommerce sites and faster connection speeds mean that customers can scan everything in a shorter amount of time. They want everything, and making sure that video is in the mix is a powerful sales tactic. For retailers and distributors alike it’s essential that they supply accurate product content in as many different formats as they can. But when ecommerce sites and digital marketplaces move so quickly (and they all require slightly different information), how is this possible? How do you deal with the potentially colossal storage space needed for video and image content and backup? Hopefully, you’re already familiar with Product Information Management (PIM). Our new generation PIM, Pimberly allows you to feed product content into one system. As it’s cloud–based, Pimberly is a step-up from other PIM solutions and Enterprise Resource Planning (ERP) software which was not designed with rich data in mind. Designed for the modern ecommerce world, Pimberly also has an in-built Digital Asset Management (DAM) functionality. This provides complete control over image-based and customer-winning video content. You can wave goodbye to huge internal data storage which is costly to manage and (crucially) back-up. With Pimberly it’s all stored in the cloud ready for when you need it! There’s no hardware to install and it’s completely scalable. Pimberly allows time-stretched tech developers to focus on other things and you can set up and change your scope in super quick time. You can fix it immediately when something’s missing! If a retailer, e.g. John Lewis requires 5 different shots of a t-shirt in 9 colours, and it doesn’t have them all, it will stop the product being published on the website. The Pimberly system works out what you need and alerts people in your organisation in real time. This saves you even more admin time and money. You can get those new product lines added more quickly. Even video doesn’t slow down this process with the cloud, so is still significantly quicker than previous methods. Will Pimberly really help you sleep at night? Operating through the cloud means that there won’t be any slowdowns in your system caused by updates and backup. Your customers will never miss out on seeing vital product information. Automatic publishing ensures your customers see ALL of the product content that you have available on EVERY platform you sell through. 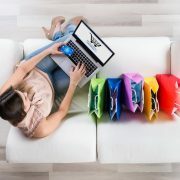 All of this makes it much more likely that customers will press the “buy now” button, be happy with the purchase, not return it and keep coming back to you in future. Pimberly makes it so easy to set-up and optimises your product content so you don’t have to worry about it. Why not talk to us today and find out how our cloud-based software can help your retail business. To find out more or sign up for a demo give Pimberly a call on 0161 804 1850, or email sales@pimberly.com.